Missing Registration For Location Error while Publishing the API on Azure. 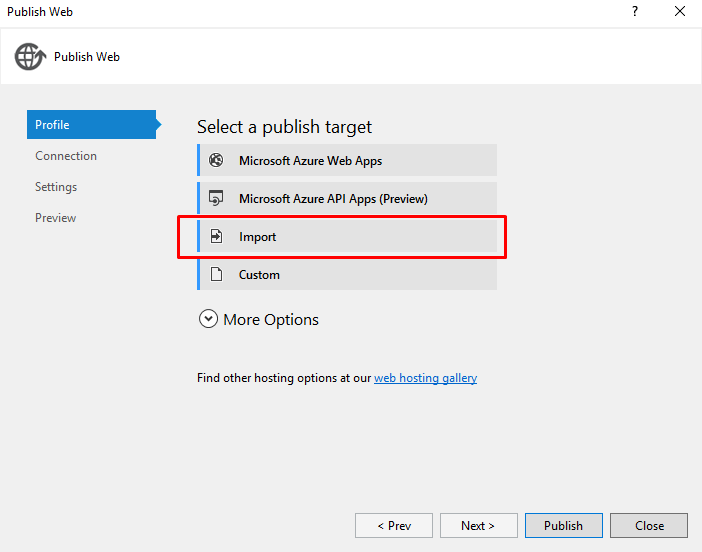 Missing Registration For Location Error Can come when we are trying to publish the web application on azure from Visual studio. I’ve tried various way to resolve this and various website advised to me to update visual studio or Upgrading Azure SDK will resolve your problem however this didn’t work. So I used alternative approach for publishing. Publish your web application using visual studio. It gives this error. but It creates App Service Plan and App Service in Azure. Select the App Service which you have created. Click on Get Publish Profile. Now Again Go to Visual studio and Publish. This time while publishing select Import. Select the file which you have downloaded from azure.